VALERY GOLD Jewellery House founded in 1997 is a family business with long traditions and many originals ideas. VALERY GOLD combines modern technology and secrets of jewellery making that have been passed down from generation to generation, to create one of the kind pieces. We are proud to present our new invention – Gold Stickers VALERY GOLD. They are self-adhesive 24K Gold Plated Stickers. Designed to decorate any of your favorite gadgets like cell phone, tablet, laptop, TV, car and many others. 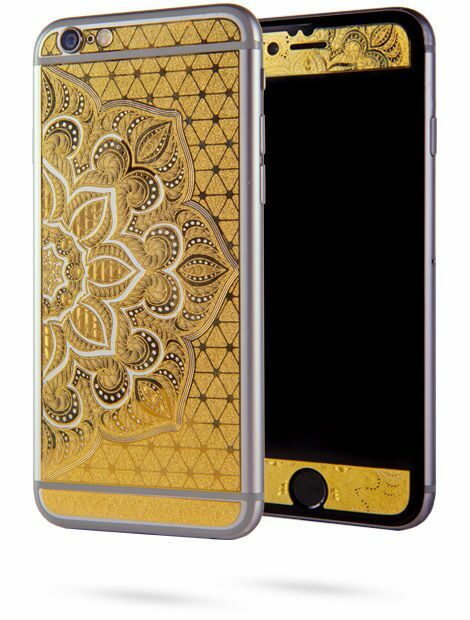 Gold Stickers from VALERY GOLD are perfect phone accessories. Surprise your friends and family with luxury gift. Get the best price when you buy gold phone accessories in our online store. Gold Stickers - Unfold Your Perfect Gift! Tired of ordinary phones that are all alike? Bringing Gold and Luxury to your life - add gold to your phone and other electronic devices. If you are interested to buy Gold Stickers from VALERY GOLD, please visit our online store. Currently, the company focuses on manufacturing Gold Stickers and exclusive jewellery collections such as Solo Luce – engagement rings, Cocktail Rings, Limited Edition Gold Jewellery, Medals and much more. VALERY GOLD Jewellery House is very proudof its team. Our craftsmen are ready to use all their experience and imagination to create a wide range of gold rings, earrings, pendants and other jewellery in all itselegance.